Welcome to our website! If you’re struggling with lower leg, foot, or ankle pain, you’ve come to the right place. At Omega Medical Group (OMG), it’s our mission to help people from all ages and walks of life overcome their foot and ankle problems and reach their goals—while remaining as active as possible. Education: It’s critical that every patient leaves their appointment knowing exactly what the issue is, what they need to overcome it, and how we can help them get there. On our website, we also provide a detailed library of free information on a wide range of conditions and treatment modalities. We want you to feel confident and informed, not stressed and unsure! A focus on whole-body care. Your feet are your foundation, and if they aren’t working properly you’ll feel the pain throughout your body—and find yourself struggling to enjoy activities you once loved. We believe that your feet have a connection to your soul, and our treatment approaches are tailored with whole-body health in mind as we strive to keep your feet in step for better health. A personalized approach. Every foot and every patient is different. What worked for the last patient may not work for you. We make it our top priority to give each and every patient who comes through our door the individual attention they need. We take as much time as necessary to understand your needs and goals, develop a custom treatment plan that works, and thoroughly explain the options available to you. We’re glad you’ve taken the first step toward fixing your feet and improving your whole body health. 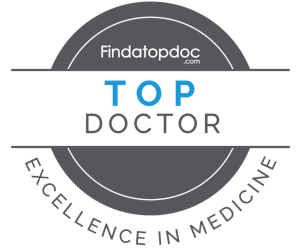 Please feel free to review our website thoroughly and get to know a little bit more about our practice and the conditions we treat. For more information or to set up an appointment, give us a call at (305) 514-0404. We’ll be happy to talk with you in either English or Spanish! “Dr. Olacio was great! She was able to pinpoint the issue, and explained everything in an understanding way. The staff was also very nice, and I didn’t feel uncomfortable in any way.” – Naomi A. “Me encanto la manera en la cual la doctora Olacio logro sanar mi problema con mis pies que ningun doctor pudo solucionar por anos, me siento totalmente agradecida de la doctora.” – A.G.
“Dr. Marizeli A. Olacio and her staff are all I could have hoped for from a doctor’s office. If you are looking for a doctor whose medical knowledge is technical and at the same time easy to understand, and that takes the time to be caring even while maintaining a very efficient office, then Dr. Olacio is someone you should consider visiting.” – Juan C.